History is endlessly fascinating and it exerts a profound influence on our world. Nations derive meaning and a sense of identity from the past. Institutions, ideas, and cultures develop over time. Conflicts are built upon and justified by earlier wrongs. The legitimacy of state actors comes largely from demonstrating a long past. In the world of tourism, "heritage" is among the most popular products on offer and the development of old (or old-looking) sites/sights is an important aspect of both urban and rural development around the world. In other words, history is big business, significant politically, and vital if we are to understand ourselves and the world in which we live today. The past must be carefully examined. It demands critical interpretation, not memorization. Doing this yields profound insight not only into where we've come from, but also where we are now. It offers a window onto why we do what we do, think what we think. Historians must actively work to communicate the importance of the past, explaining it in an accessible yet not over-simplified fashion. Over the last several years I have had the opportunity to comment on historical subjects through lectures, television, print, museum exhibits, and the web. I was pleased to join local Portland cycling ace (and former national champion) Fred Thomas on his show to talk about the interconnected histories of tourism and cycling. Our conversation was wide-ranging, though there remains a huge amount to discuss as these are both rich subjects indeed. I was fortunate to take part in three seasons of BBC Scotland's popular Grand Tours of Scotland series. Each episode follows host Paul Murton as he traces routes popularized in the nineteenth century guidebook Black's Picturesque Guide to Scotland. The program continues to aire in repeats in Scotland and across Britain. Series 1, Episode 2: "The Sporting Life"
Series 2, Episode 1: "Crossing the Border"
Series 3, Episode 5: "From Burns to Butlins"
In March 2010, I delivered a lecture at UNE's Center for Global Humanities exploring the implications of tourism development in Ireland since the Irish Civil War in the early 1920s. This is a short excerpt from that talk. The whole lecture, along with many others by a wide assortment of scholars, is available on iTunes U at the University of New England's Center for Global Humanities channel. 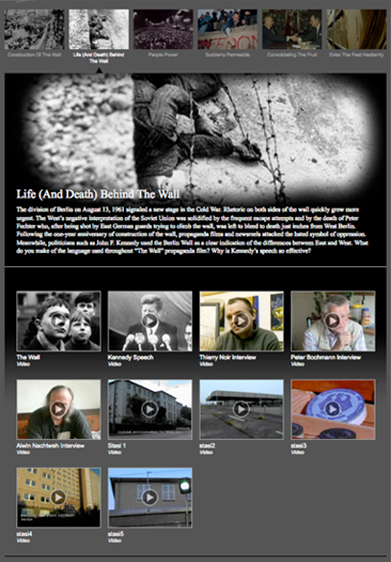 During summer 2010 I worked closely with the University of New England Library Services Department of Special Collections and the UNE Office of Communications to produce an exhibit exploring the history of the Berlin Wall from inception to removal. The installation included both a physical display and an interactive web-based archive of wall-related materials. 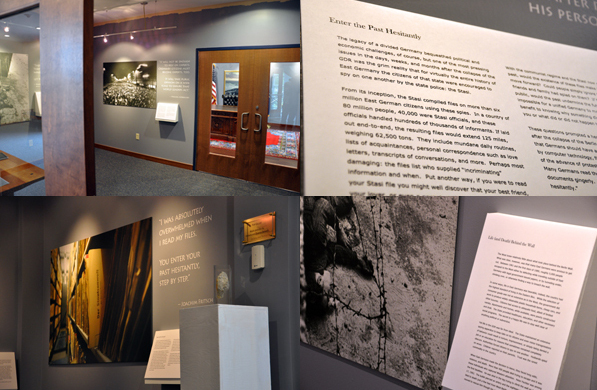 In fall 2014 the University of Wyoming and the University of South Dakota will each display the exhibit as part of a larger internationally-funded Berlin Wall educational program. 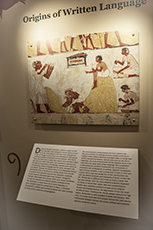 The online portion of the exhibit is available on iPads and includes a range of multimedia content. It is designed to function as a digital archive. Web design is by Neal Jandreau. The physical portion of the exhibit involves the display of six iconic images that collectively provide a history of the Berlin Wall from 1961-1989. The images are accompanied by significant quotations and a textual narrative offering an overview of events. During the summer of 2013 I assembled and led a team of faculty to develop an exhibit exploring the relationship between literacy and power, both historically and in the contemporary United States. 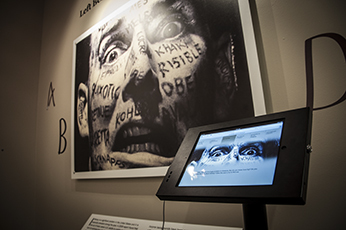 The display utilized the same physical/interactive format used for the Berlin Wall exhibit. Our group worked closely with the University of New England Library Services Department of Special Collections and the UNE Office of Communications. It was displayed throughout the 2013/2014 academic year. Twitter: I maintain an active presence on Twitter where my goal is to provide a sort of clearing house of "history-in-the-news" stories. Along the way, I also post items about real ale (related to my current research), travel and tourism, higher education, teaching, and very occasionally cycling. My hope is that these posts will be particularly useful to instructors looking for ways to illustrate the relevance of historical subject matter in their classes, while at the same time circulating material that may be of interest/use to those intrigued by the subjects listed above. You'll find my page at: @EZuelow. 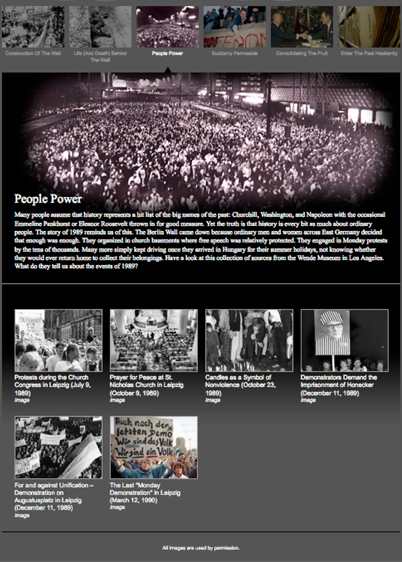 A History of Modern Tourism Supplementary Materials: This website offers teachers and researchers a centralized location at which to find lists of tourism history resources. It includes teaching materials, subject bibliographies, and extensive lists of websites, journals, and tourism history-related organizations. Nationalism Project: I launched The Nationalism Project while at graduate student at the University of Wisconsin-Madison. It provides users with a clearinghouse for scholarly nationalism information including: leading definitions of nationalism, book reviews, web links, subject bibliographies, a bibliography of more than 2,000 journal articles, and much more. The site is currently on hiatus, however it continues to draw extensive traffic.